WELLINGTON: New Zealand Prime Minister Jacinda Ardern was mourning the loss of the nation’s ‘First Cat’ Paddles Wednesday after her pet tabby was run over by a car in Auckland. 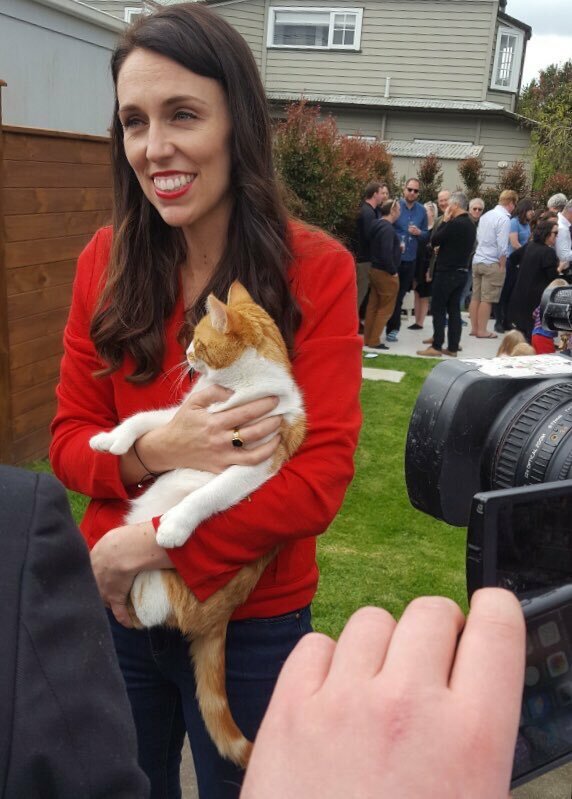 The prime minister’s office confirmed that the ginger and white rescue cat, also described by Ardern as the PM (Prime Moggy), died in an accident on Tuesday. “To anyone who has ever lost a pet, you’ll know how sad we feel,” the 37-year-old leader wrote on Facebook, urging people to donate to an animal rescue charity. Paddles proved a popular member of the prime ministerial household after Ardern won office last month, with a Twitter account set up in her name attracting more than 11,000 followers. US magazine Vanity Fair said the tech-savvy feline was “helping establish Ardern as the latest hip, cool world leader that America wishes it had”. Ardern’s partner, television host Clarke Gayford, this week described Paddles’ antics as Ardern was receiving a congratulatory phone call from US President Donald Trump after the election. “She leapt up onto the chair next to Jacinda and began announcing her very squawky arrival,” he wrote on pop culture website thespinoff.co.nz.